A 4-H’er from Burke County attended the ninth annual North Carolina Association of County Commissioners (NCACC) Youth Summit, which was held in Hickory, North Carolina August 24-25, 2018. 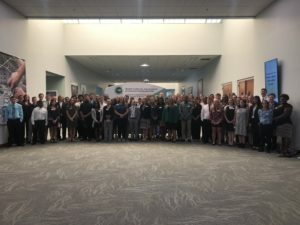 North Carolina 4-H and the North Carolina Cooperative Extension Service partnered for the ninth year with the NCACC on a multi-year initiative to increase youth involvement in county government. This initiative helps youth learn more about county government as well as how to become more involved in local decision making. The 4-H’er who attended from Burke County was Zachary Good. Over 70 youth and adults from 63 counties were represented during this event. The event is sponsored and supported by the North Carolina Association of County Commissioners. For more information on the 4-H program in Burke County, please contact Nicki Carpenter, nicki_carpenter@ncsu.edu or call 828-764-9480. • Local Orange County Students Join Teens From Across the U.S. at National 4-H Youth Summit on Healthy Living in Washington, D.C.